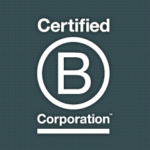 Five Reasons Mightybytes Became a B Corporation and Why You Should Too! 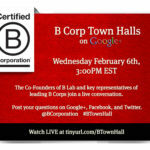 Share this: Twitter | Facebook | Google+ | Compass X Strategy about how easy the process was for her company we decided the time was right to take the B Corp plunge. We were tossing around the idea of becoming a Benefits Corporation (B Corps) for the better part of a year and after talking to Nancy Goldstein from Compass X Strategy about how easy the process was for her company we decided the time was right to take the B Corp plunge. 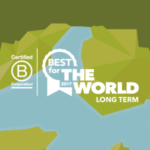 Last week, Mightybytes officially joined the ranks of the B Corp community, alongside the likes of GoodGuide, Method, Change.org and 428 other like-minded corporations in the United States. 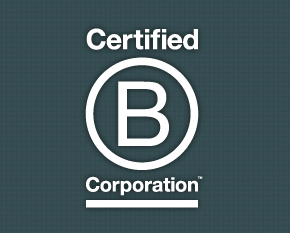 A B Corporation is a new type of corporate structure that, according to the B Corporation site “meets rigorous and independent standards of social and environmental performance, accountability, and transparency.” Not sure what that means exactly? Think of a B Corporation like LEED or Fair Trade certification but for a business rather than your office building or a bag of coffee. Unlike traditional corporations, Certified B Corporations are legally required to consider the impact of their decisions on their employees, suppliers, community, consumers, and environment. These are companies that seek to affect positive social change by putting social and environmental responsibility at the heart of their corporate structure. In fact, in order to become a B Corp Mightybytes was required to change the company’s governing documents by amending our Articles of Incorporation with legal verbiage outlining the inclusion of stakeholder interests into the company DNA. The B Corp community currently represents $2.18 Billion in revenue across 54 industries. Mightybytyes is one of only 11 B Corps in the State of Illinois. Five states currently recognize B Corporations and a group comprised of local and regional B Corp members is working to bring similar legislation to Illinois. Long term this will lead to a legally recognized new corporate form (like a C Corp or an S Corp) and tax incentives, procurement preferences, and a social stock exchange for sustainable businesses. It supports the mainstreaming of corporate social responsibility and transparency, which forces companies to operate out in the open and offers potential to reduce the number of ‘Enron-like’ scandals. It helps the environment, which is never a bad thing. It helps people carve out a better living based on the idea of employee growth and retention. The transparency it necessitates attracts like-minded consumers and companies whose values you reinforce, which fosters a welcoming environment for doing business. It builds a community of like-minded organizations who all share a unified philosophy and value system. Now Go Be a B! Signing up at B Lab’s site and filling out their online assessment tool will get you a free consultation with a dedicated B Corp representative who will walk you through the rest of the process and get your company certified. What are you waiting for?